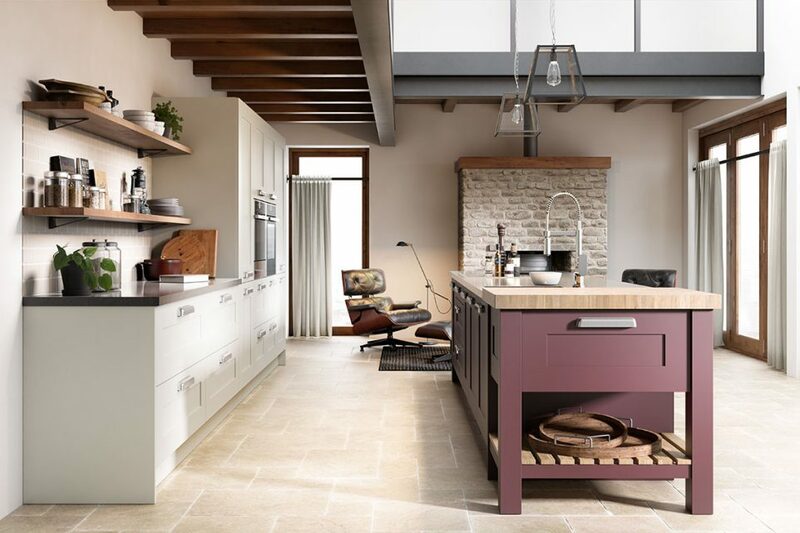 The Painted Kitchens in our range are available direct to you throughout the UK. We provide Painted kitchens for any budget in solid hardwood or MDF and in any colour. Available in solid hardwood or MDF and in Shaker, traditional or In-Frame styles the choice has never been better. 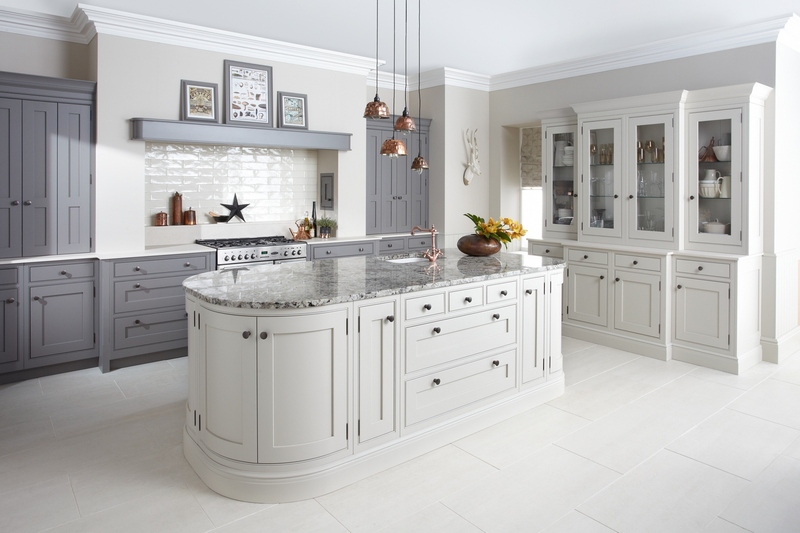 Our designers have considerable experience and can create modern or traditional painted kitchens to suit your tastes. The range is available in any colour you choose from a standard palette. 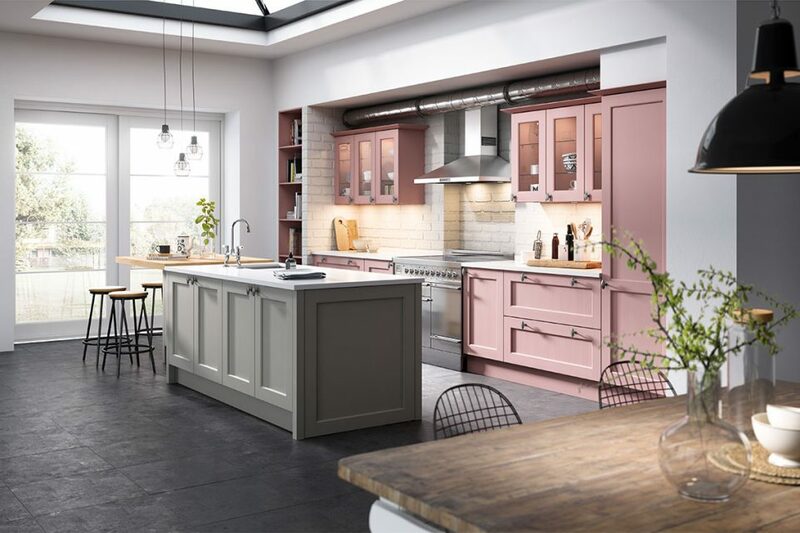 Offering you considerable flexibility, painted kitchens are a versatile choice that allows you to achieve just the right ambience in your home. Whether you intend to create an ultra-modern space or one that evokes a more traditional feel, you'll find that we can help you achieve your design dreams. 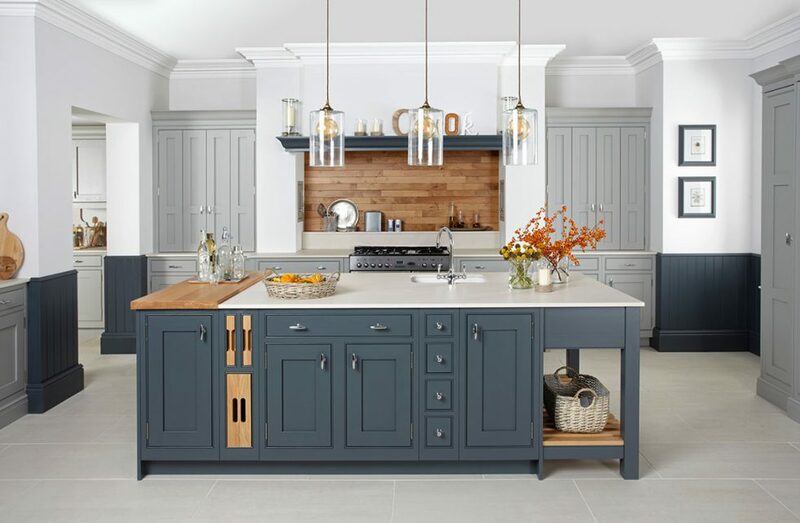 Here at Kitchen Designers we offer an extensive selection and their individual components, so you can select something that suits you perfectly. Choose a single colour, contrasting tones or hues that complement each other to make your space exactly what you want it to be. Those planning a traditional interior may like to opt for warm shades and pair these with wooden fittings; however, if you’re keen to create a modern space, you could consider tones of grey and white. 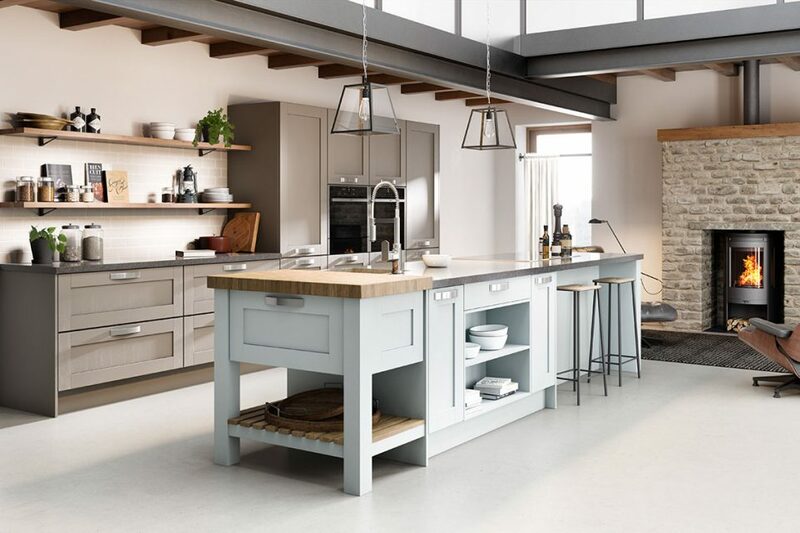 Offering a comprehensive selection of fixtures, fittings and accessories – including door handles, bins and sockets – we can help you put together your ideal kitchen. Painted kitchens have come a long way over the years. It used to be that we fitted a natural oak kitchen then it was hand painted on site. The modern method produces a very hard wearing finish that is lacquered in the factory and can be painted to any colour you wish. The standard range of colours is extensive however so it is unusual that you won’t find a colour to suit your tastes. What’s more, if you’re not sure what would work in the space you have, why not enlist the help of our experts? 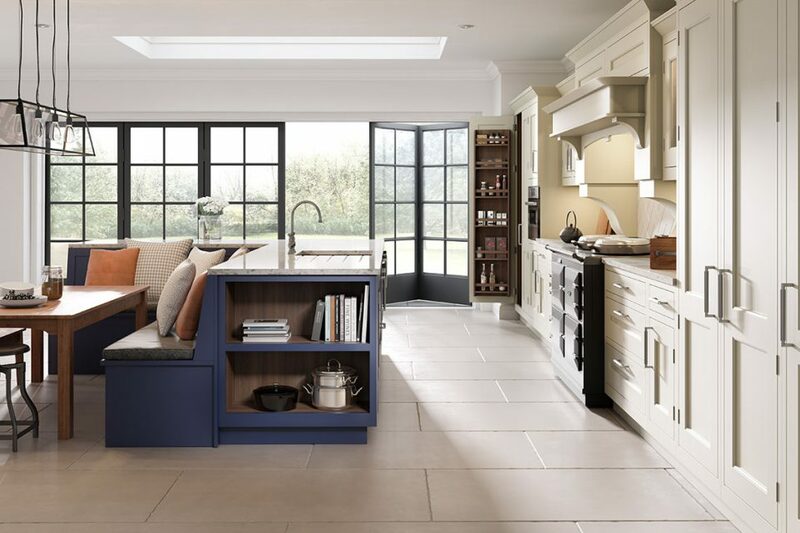 Our kitchen design service allows you to specify exactly what you want in terms of style and functionality, which we then use to create a bespoke living space, taking into consideration your kitchen’s dimensions. We offer recognised brands and are all factory built with even the doors and accessories prefitted to cut down on the amount of installation time. 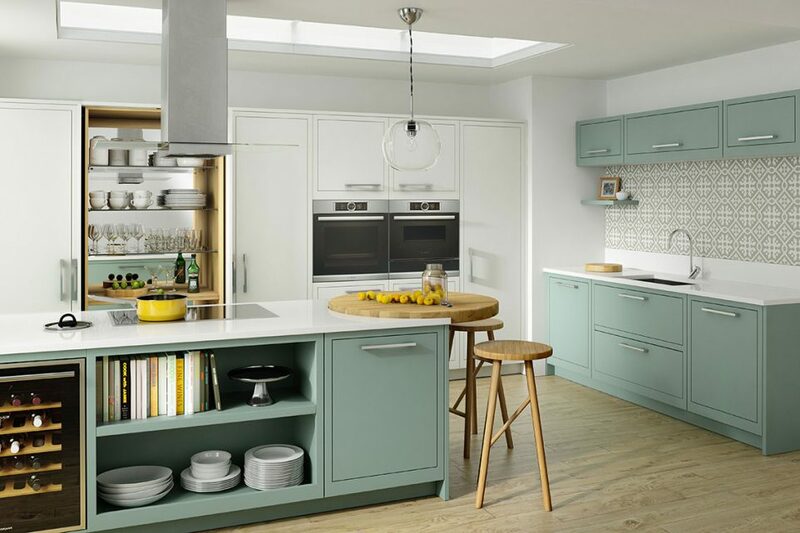 You can see these kitchens in local studios and in John Lewis so it easy to decide what you want, see the quality and understand the large amount of money that we save our customers. 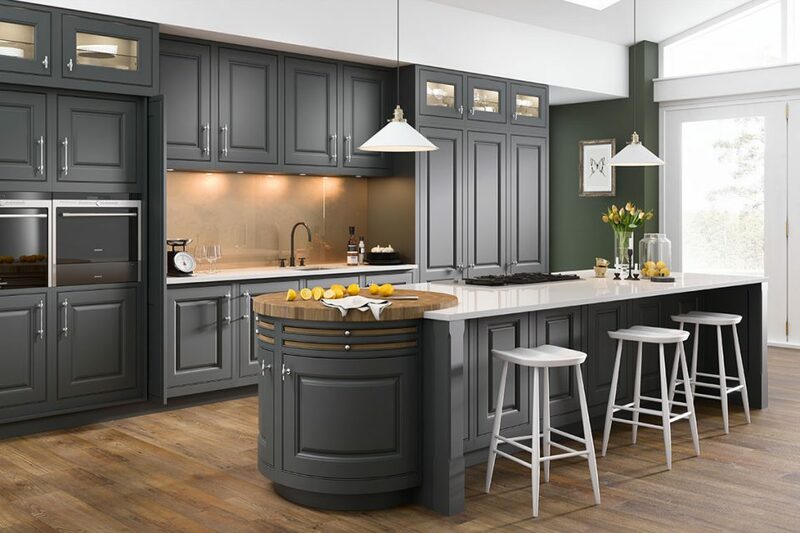 Let Kitchen Designers help you find your perfect painted kitchen. Start planning your new kitchen with Kitchen Designers. We specialise in providing quality kitchens alongside excellent customer service and great prices. 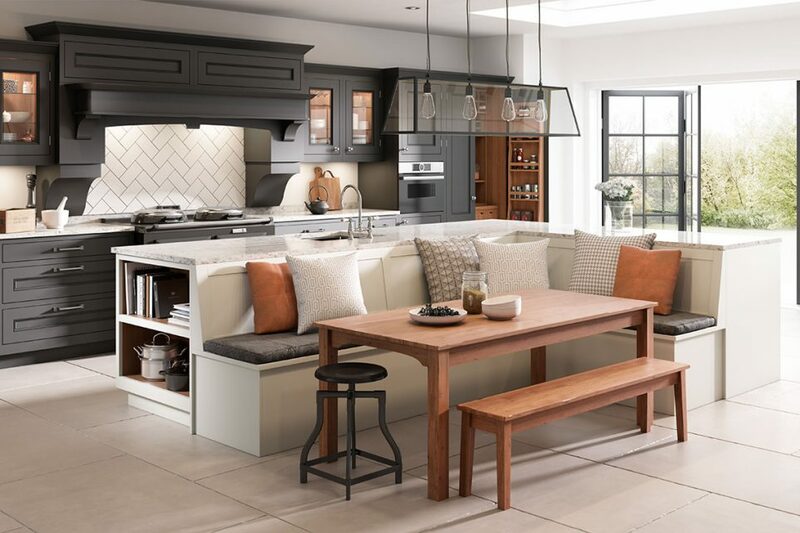 Our UK design experts will create a unique kitchen based on your preferences, budget and the space available – with no obligation for you to go ahead unless you are completely happy with the design.